You're busy and working hard on your business. You don't have time to remember tax due dates. This calendar gives you an overview of business taxes due in each month. Some months have more activity than others. January in particular, are busy, with annual wage and tax reports to be distributed and filed by the end of January. I have included the most common business taxes - income tax payments, estimated tax payments, payroll taxes, and unemployment taxes. While the general due dates for different kinds of taxes are set by the IRS and other agencies, the dates may vary for a particular year, if the due date falls on a weekend or a holiday. The IRS rule is that if a tax due date falls on a weekend or holiday, the due date is the next business day. So if a due date was on a Sunday, the due date would be moved to Monday, unless Monday was a holiday - then it would be Tuesday. For example, a tax due date of Sunday, April 15 would be moved to Monday, April 16 in that year. This calendar shows the monthly deposit date for payroll taxes. If you have a large payroll, you will need to make payroll tax deposits according to the semiweekly deposit rule; the semiweekly deposit dates are not shown on this calendar. If you are not sure when to make payroll tax deposits, read this article on how to determine your payroll tax deposit schedule. This article gives you the most up-to-date information about tax due dates for each month of the past tax year. NOTE: The tax year is the year the taxes are calculated for, not the year in which they are paid. 2018 income taxes and annual payroll tax reports on forms W-2 and 1099-MISC are paid and reported in 2019. January 15, 2019 - Fourth Installment of Estimated Taxes Due. If you pay estimated taxes, the last installment of estimated taxes for the previous year is due. January 15, 2019 - If you make payroll tax deposits monthly, your payroll tax deposit for December is due. January 31, 2019 - Provide employees and non-employees with prior year wage and tax reports. By the end of January, you must provide all employees with Form W-2 showing their earnings, Social Security and Medicare earnings, and other information, for the previous calendar year. You must also provide independent contractors, professionals, and vendors with Form 1099-MISC showing payments made during the past calendar year if you paid them $600 or more during the year. January 31, 2019 - File Form 941 - Employer's Quarterly Federal Tax Return. If you made all required payments in full by the due dates, you have 10 more days to submit this form (by February 10). January 31, 2019 - You must Submit W-2 Forms to the Social Security Administration. If you file these forms online, you don't need to include a W-3 transmittal form. January 31, 2019 - You must 1099 forms, including 1099-MISC forms, to the IRS, along with all 1099-MISC forms. By February 28, you must submit Form 1096 transmittal form to the IRS for all independent contractors, along with all Forms 1099-MISC. If you submit 1099 forms electronically, you don't need to include Form 1096. January 31, 2019 - File Federal Unemployment Tax (FUTA) Form 940 for the previous year. Form 940 is the Annual Federal Unemployment Tax (FUTA) Return, which must be submitted to the IRS by the end of January. If you made all required payments in full by the due dates, you have 10 more days to submit this form (by February 10). January 31, 2019 - Deposit Federal Unemployment (FUTA) taxes owed through December. If you owe more than $500 or more in FUTA taxes for the quarter ending December 31, you must deposit the taxes owe by January 31. February 15, 2019 - If you make payroll tax deposits monthly, your payroll tax deposit for January is due. March 15, 2019- If you make payroll tax deposits monthly, your payroll tax deposit for February is due. March 15. 2019 - S Corporation Tax Income Tax Returns on Form 1120-S are due. All S corporations have a December 31 year end, so income tax returns are due March 15. March 15, 2019- Partnerships must file tax returns on Form 1065 by this date. April 15, 2019 - File Small Business Schedule C with ​your personal tax return. Schedule C is the business profit and loss form that must be submitted with your personal income taxes on Form 1040. Your Schedule C net income is included with your other sources of income to determine your taxable income. Sole proprietorships and single member LLC's file business taxes on Schedule C. (April 15, 2018, is a Sunday, and Monday, April 16 is a holiday in the District of Columbia). April 15, 20189- Corporations must file Form 1120 Corporate Income Tax Return. If your corporation has a calendar year-end, your corporate income tax return is due on April 15. If you want to file an extension, it's due on this date, using IRS Form 7004. April 15, 2019 - First Installment of Estimated Taxes Due. If you pay estimated taxes, the first installment of estimated taxes for the current year is due. April 15, 2019- If you want to file an extension application for your personal, partnership, or LLC tax return, it must be filed by this date. You must also pay income taxes on this date. Corporations receive an automatic extension, but they don't receive an extension on payment. April 15, 2019 - If you make payroll tax deposits monthly, your payroll tax deposit for March is due. April 30, 2019 - File Form 941 - Employer's Quarterly Federal Tax Return. If you made all required payments in full by the due dates, you have 10 more days to submit this form (by February 10). May 15, 2019 - If you make payroll tax deposits monthly, your payroll tax deposit for April is due. June 17, 2019 - If you make payroll tax deposits monthly, your payroll tax deposit for May is due. June 17, 2019 - Second Installment of Estimated Taxes Due. If you pay estimated taxes, the second installment of estimated taxes for the current year is due. July 15, 2019 - If you make payroll tax deposits monthly, your payroll tax deposit for June is due. July 15, 2019 - Second quarter federal unemployment (FUTA) taxes for larger employers are due ​at the end of July. If your FUTA tax liability in any one quarter is more than $500, you must make a deposit by the last day of the month after the end of the quarter. July 31, 2019 - File Form 941 - Employer's Quarterly Federal Tax Return. If you made all required payments in full by the due dates, you have 10 more days to submit this form (by February 10). August 15, 2019 - If you make payroll tax deposits monthly, your payroll tax deposit for July is due. September 16, 2019 - If you make payroll tax deposits monthly, your payroll tax deposit for August is due. 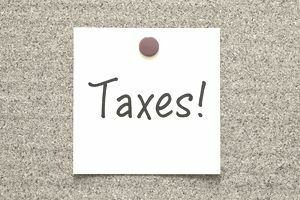 September 16, 2019 - Third Installment of Estimated Taxes Due. If you pay estimated taxes, the third installment of estimated taxes for the current year is due. September 16, 2019 - If you extended your partnership or S corporation tax return, the return is due on this date. October 15, 2019 - If you make payroll tax deposits monthly, your payroll tax deposit for September is due. October 15, 2019 - Schedule C, along with personal tax returns extended, is due on October 15. September 15, 2019 -Corporation tax return extensions due (effective with the 2017 filing year). October 31, 2019 - File Form 941 - Employer's Quarterly Federal Tax Return. If you made all required payments in full by the due dates, you have 10 more days to submit this form (by February 10). October 31, 2019 - Second quarter federal unemployment (FUTA) taxes for larger employers are due ​at the end of July. If your FUTA tax liability in any one quarter is more than $500, you must make a deposit by the last day of the month after the end of the quarter. November 15, 2019 - If you make payroll tax deposits monthly, your payroll tax deposit for October is due. December 16, 2019 - If you make payroll tax deposits monthly, your payroll tax deposit for November is due. The IRS has a yearly calendar which has detailed information about tax due dates for businesses and self-employed individuals.